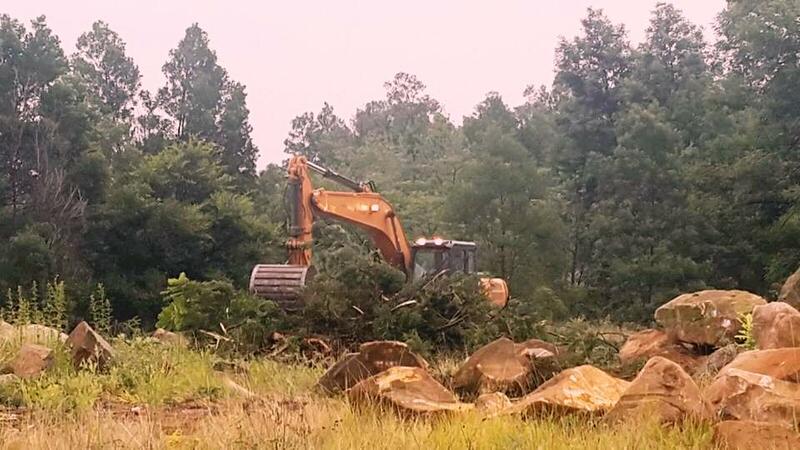 Renico Plant Hire attacks 10 000 cubic metres of boulders in a mammoth site clearing task! 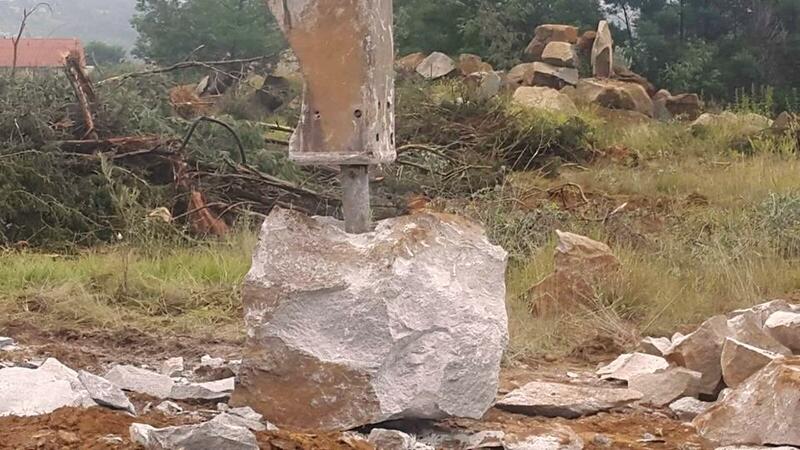 With the developers of the Jackal Creek Golf Estate wishing to progress to the next phase of development within the estate it became evident that they would need to remove approximately 10 000 cubic metres of boulders from the site before work there could begin – a formidable task! Renico Plant Hire was contracted to undertake the task of clearing the site and removing all the boulders, many of which were simply too large to be transported as they stood. 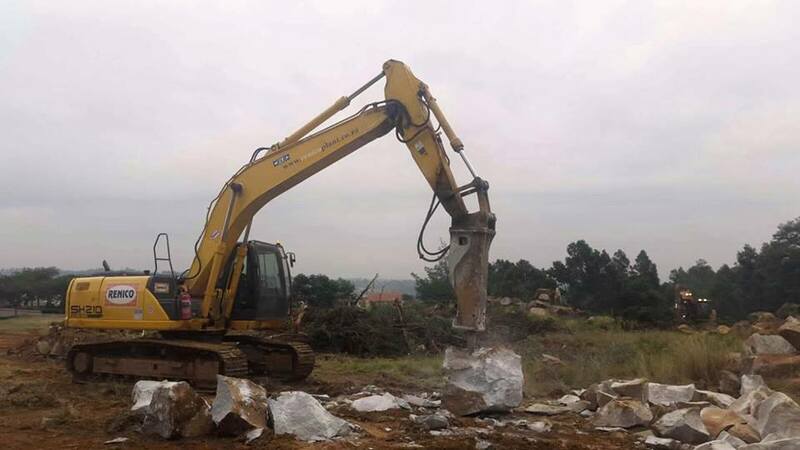 The hydraulic hammer attachment for the excavator has been put to good use here, being ideally suited to break the large boulders into more manageable rocks. The resulting slightly smaller rocks are being moved to the Janho Quarry & Crushing site where they will be stock piled for conversion to G5 aggregate at a later date. Crushing and Screening for our future highways!